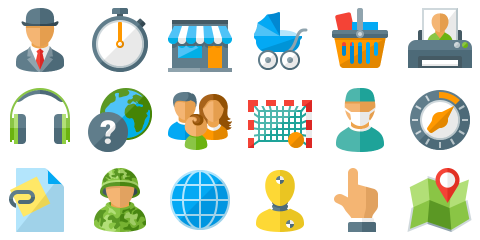 Use the icons royalty free for web design, presentations, print, user interfaces and more. 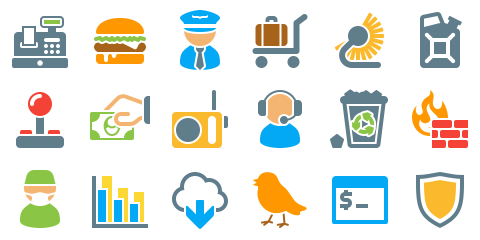 The Paper icons have a vivid, colorful design, which feels friendly and professional at the same time. They work great with different color schemes. Due to their layered design, a unique stacked shadow style can be applied. The Omni collection is our most versatile icon collection. The icons work well with almost any style and color scheme. For optimum legibility even in small sizes the Omni icons have been designed on a 32x32 grid.  The Mono icons have a unique monochrome, three dimensional appearance. They work best with a light icon color on a dark background. The minimalist line design gives the Line icons a restrained and elegant touch. 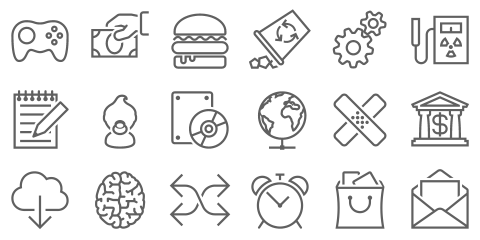 However, if a strong gradient or a long shadow style is applied, these icons can make a strong statement.